ARLINGTON, Va. (WUSA9) -- A woman was attacked by a man in Arlington who tried to drag her into the woods and then stole her cellphone Thursday night, police said. The attempted abduction and robbery happened in the 800 block of S. Frederick Street around 10:30 p.m., Arlington police said. The man carrying a stick grabbed the woman's wrist and tried to drag her into the woods. The man then fled the area with the woman's cellphone when she screamed for help. The suspect is described as a Hispanic man in his twenties. He is about 5'5" tall and has slim build. His hair is short. He was last seen wearing black pants, and a black shirt at the time of the incident. 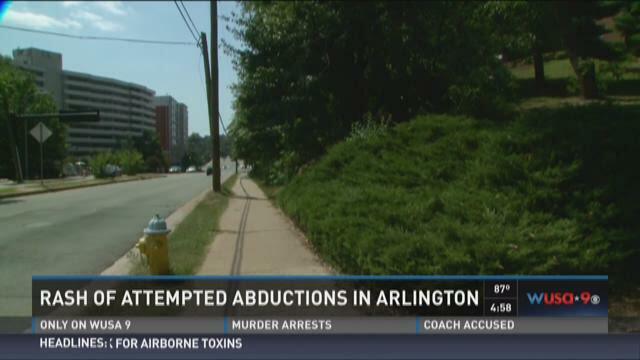 The attack is the fifth such similar attack in Arlington over the past few weeks. Police are investigating if the crimes are connected or if they are individual incidents.